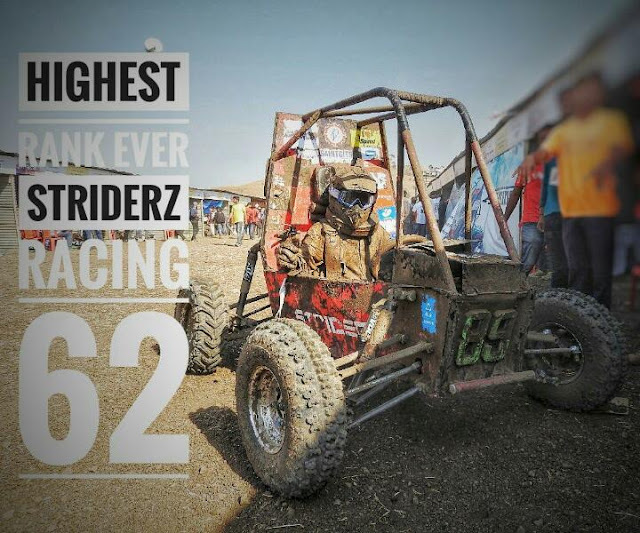 The Team Striderz from the Department of Mechanical Engineering, competed in SAE BAJA 2018 National Level Competition and won an overall rank of 62 and secured 3rd position among teams from Kerala. This is by far the best rank achieved by Striderz in the competition ever. The leadership behind this remarkable achievement is of Assistant Professors Er. Bibin Varkey and Er. Arun K Varghese, the SAE BAJA Students Team Captain Adrian Isidore Felix of S8 ME and lab technical staff Mr. Sooraj Sukumaran.